Hot on the heels of his new YA novel, Burn Baby Burn Baby, released this week, the incredibly talented insomniac author Kevin T. Craig is getting ready to release the first in the Carter Colby series of novels, Half Dead & Fully Broken, on January 19, 2015. 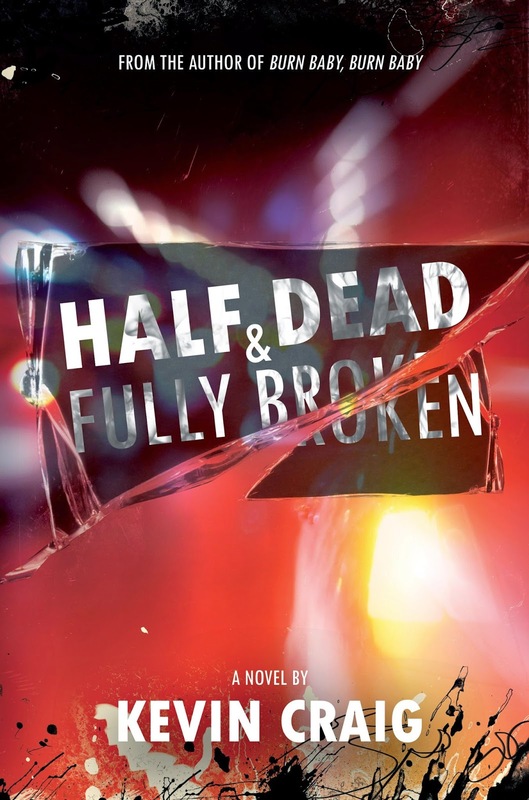 Half Dead & Fully Broken is the story of Carter Colby, the most unpopular teen at Jefferson High. This would be easier to deal with if his identical twin brother, Marcus, weren't the hottest, most popular boy in school. When Marcus is killed in a motorcycle accident, Carter discovers the one thing more painful than trying to compete with Mr. Wonderful: wearing his dead brother's face. He felt invisible before the accident, but with Marcus dead everybody turns away from him in mourning. How can he blame them? He can't bear to look in the mirror. When Carter begins to see Marcus's ghost, Mr. Wonderful's quest to save the world and spread happiness may not be over after all, even in death. Marcus knows that Justin Dewar, the boy who drove the truck that crashed into his motorbike, is struggling with the guilt of taking a life. Melanie, Marcus's mourning girlfriend, was also hard hit by the tragedy. Marcus wants to make things right before it's too late. With Marcus's help, Carter experiences love and friendship for the first time in his life. But is Mr. Wonderful's helping hand enough for Carter, Melanie, and Justin - three kids fully broken by the tragedy - to save one another? Order it now. Thank me in January. Kevin Craig is the author of four previous novels; Summer on Fire, Sebastian’s Poet, Burn Baby Burn Baby, and The Reasons. He is a 4-time winner of the Muskoka Novel Marathon’s Best Novel Award. HALF DEAD & FULLY BROKEN won their 2010 Best Young Adult Novel Award. Kevin is currently finishing Book #2 of The Carter Colby Series.